7 For God is the King of all the earth. Sing praises with understanding. 8 God reigns over the nations. God sits on his holy throne. 9 The princes of the peoples are gathered together, the people of the God of Abraham. For the shields of the earth belong to God. He is greatly exalted! 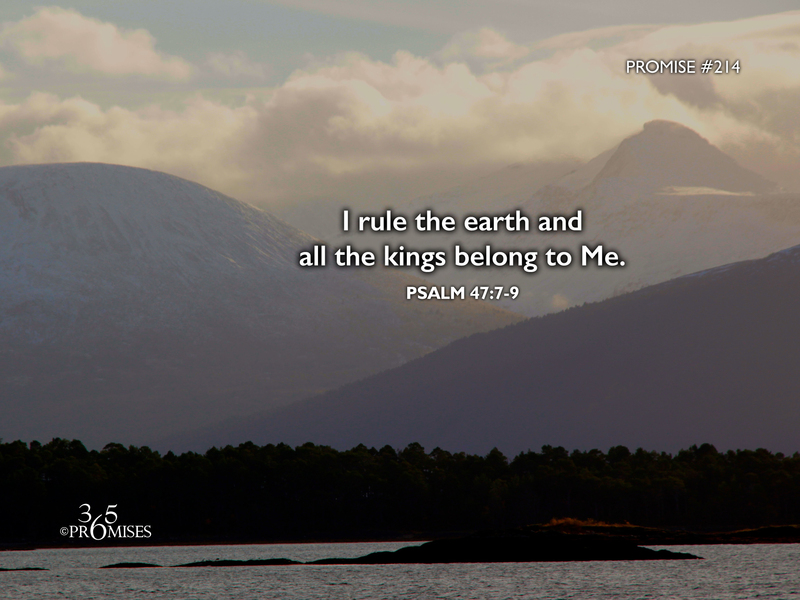 God is the King of all the earth. Jesus is proclaimed as the King of kings and the Lord of lords. There is no disputing the absolute and complete power of the living God. He is omnipotent, omnipresent and omniscient. While our adversary the devil, has limited power for a short season as the prince of the power of the air, the earth is the Lord's and all that is in it! When everything around us seems to be shaken... Wars, economies, governments, etc., have no fear! God is seated in the heavens and He rules the earth. May we rise up and worship Him today for His goodness and His mercy and His majesty! Hollywood often projects the battle of good versus evil as two equal, opposing forces clashing for victory. The truth is that our God is all powerful and ever present. He is so huge, that the universe cannot contain Him. We are not locked in a battle between good and evil that has an uncertain outcome. We win! Jesus has already declared the victory through His death and resurrection! While we know that in this world we will have trouble, may each one of us be encouraged today in knowing that Jesus has overcome the world and that our Heavenly Dad is the God and Father over all creation (Ephesians 4:4-6).